From all the complaints from the prison guards, the bureaucracy has won again. The old shift time table has been reinstated and the guards are now working 24hour shifts again. This is typical of such a weak government that they crumble under the pressure from the guards despite it being a reasonable and recommended reform to reduce the amount of hours work by prison guards. One unforseen benefit of the 12 hour shift was that the commanding officers still worked 24 hour shifts, which could be said to have been the privilege of rank. This meant that the commanding officer did not have his normal group of guards, and the particularly brutal commanding officers were left with guards that were not hand picked by him. The more brutal the commanding officer the more brutal the guards he selects to work under him and by not having his guards under hum the commanding officers did not want to commit assaults in front of guards from other shift groups. Although it has never happened in the history of Bulgaria that a guard testified against another guard in connection to an assault, the sadistic commanding officers were scared to commit crimes in front of untested guards. 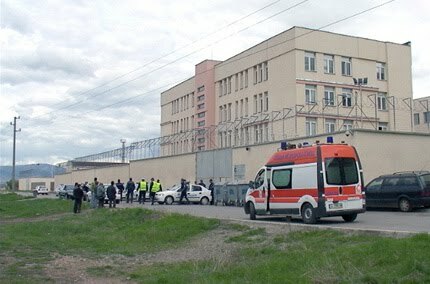 For the short time that the 12hour shift rotation was instated there was not a single guard on prisoner assault reported in Sofia Central Prison. This is a record and proof that the reform was working. 2 steps forward 3 steps back, it should also be noted that not only did the lobbying from the guards successfully repeal a reform, but it should also be noted the power the guards and the government institutions have over the government itself. It is this practice in Bulgaria that stifles growth and progress. Bulgaria needs a strong government that can push through reforms that are unpopular with the bloated, corrupt and inept Bulgarian bureaucracy, then and only then will the populace see positive change. It’s ironic that when the general population calls for reform the government ignores them, but when the government organs want to stop reform it happens within a month. The bureaucracy has successfully defended its corrupted and antiquated self, like a cancer fighting off the body’s antibodies; it will be allowed to carry on. On the 12/8/2013 started a hunger strike and sit out protest in the Busmansi immigration prison. Although the exact numbers are unclear it is a relatively large group of immigrants who are protesting in the exercise yard, possibly over 50 men, woman and children. Entire families are involved in the sit out and hunger strike and their demands are an end to the uncertainty of their situation and their prolonged detention without any movement to their statuses. Some are demanding to be granted asylum and be allowed to live in Bulgaria, yet other are demanding that their requests to be repatriated are accelerated as they have been in the immigration prison for almost a year. For some of them the term of their imprisonment has been exacerbated by the policy of criminally convicting those entering Bulgaria to seek asylum (officially they are classed as criminals not asylum seekers) and they have already finished between 1year prison sentences to 1.5years before being sent to the immigration prison where they have spent another year waiting for the Ministry of Immigration and the State Agency for Asylum to process their applications. There have been reports of immigration prison guards assaulting protesters, guards refusing to allow the protestors to use toilets and get water and also on several occasions guards took blankets being used for children to sleep on and threw them in the garbage. Some officials came from the Ministry of Immigration to speak with the protestors however no sign was made that there would be a reform or acceleration of procedure for those imprisoned in Bulgarian immigration prisons.